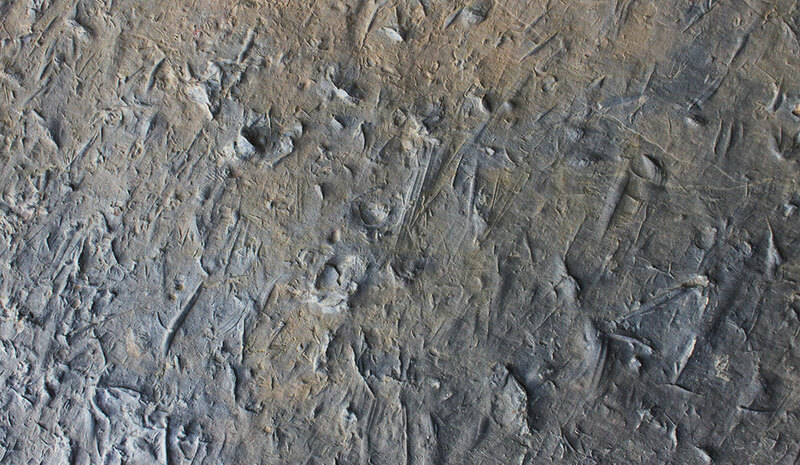 On an ancient seafloor, burrowing animals appeared and churned up sediment as a sort of opening act for the Cambrian explosion, the rapid emergence and spread of animal species that began 540 million years ago. However, this diverse group of animals, which would fundamentally change global ecology and environments, was much slower to evolve and expand their range than their distant cousins living closer to the surface and swimming through the oceans, Yale geologist Lidya Tarhan reports August 1 in the journal Geology. “The two events didn’t quite sync up in geological time,” Tarhan said. Today burrowing animals, by churning up sediment, dramatically shape the nature of the seafloor, the chemical composition of the seas, and the development of communities and hospitable environments. Over geological time, they have even affected the balance of oxygen and carbon in the atmosphere and influenced the world’s climate. These animals so profoundly modify global environments that scientists call them ecosystem engineers. Tarhan’s examination of fossilized seafloor, spanning the time of the Cambrian explosion to the present day, revealed both traces of the movements of animals and, equally important, characteristics of the seafloor that form only in sediments largely untouched by burrowing animals. This study shows that, although many animal species and ecologies did appear suddenly during the Cambrian explosion, there was no evolutionary “Big Bang” in the activity of burrowing animals, which, in contrast, increased gradually in numbers, range, and intensity over hundreds of millions of years. Be the first to comment on "Group of Animals Fundamentally Changed Global Ecology and Environments"